Our clients are our biggest fans. Read their stories below. 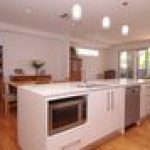 At Hurst Constructions it is our mission on every project to help families expand and renovate their home so that its is well-designed and beautiful to look at but also functional and affordable. View some of our previous projects below. Please also click here to view the Gallery of completed projects without testimonials. We are very pleased with our new second storey. Having five children, and a blended family it was important to us that we each had our own space and privacy. Hurst Constructions worked quickly, thoroughly and very efficiently within our short time frame. The tradesman were trustworthy, friendly and hardworking. It was extremely important to us to keep and preserve the character in the original parts of our home. They were meticulous, understanding and went above and beyond, creating exactly what we had envisioned. The second storey is very functional with modern amenities and perfect finishes. Lines of communication were always open and we found it very easy to communicate with the project manager and business owner Paul about the renovation progress, new ideas and change of ideas throughout the entire process. Ben, Lydia and the Brady bunch!! I would like to take this opportunity to thank Paul Hurst and staff for the amazing job you completed on our second storey extension. I was more than we ever expected. We would like to thank you for your consideration to our home and family it was always kept clean and tidy when you had finished for the day. We would highly recommend you to our family and friends for any building work. After nearly 40 years in the interior design industry and after renovating five different properties, we found that Hurst Constructions is one of the best building companies with which we have had the pleasure of working. Not only is the owner of the business, Paul Hurst, personally interested in the finished result as we had envisaged it, but it was done within our budget and time constraints. I would not hesitate in recommending Hurst Constructions. We made a wise decision in choosing Hurst Constructions for our recent extension. Paul was extremely reliable and provided us with all the information we needed to commit to building, transforming our home from a three bedroom, one bathroom house into a four bedroom, two bathroom home. Paul had a professional approach and a fixed price contract which we found very appealing. We enjoyed Paul controlling the project from council approval, through to lock up and hand over. Everything was considered in the contract including finishings on the inside, except floor covering. Knowing that the painting and rendering was all a part of it helped make our decision. Not to mention the reasonable price. The council approval was time consuming, but once this was completed, it was all go! Executing the build in the time frame expected. It took us 12 weeks exactly, to conclude the build, including the flooring & other things we added. The variations that we added, were cost effective and kept it really close to the original fixed price. Paul's team were always good at communicating. A big thanks needs to go to Bob and Dave too. Bob made the first messy part of taking the roof off and building easy. We were able to live in our house without any issues. The weather was wild for some of it being the start of winter and our only complaint was the noise of the tarp, which was minimal considering. Bob made sure all was maintained safely. Dave was always available to ask any questions of and kept us updated. He helped with keeping to the budget with all the finishings and providing us modern quality products. He was always working behind the scenes to make sure all ran smoothly and that tradesmen turned up. Paul deserves a huge thanks too, for everything. Too many things to list. He maintains a professional outfit and always made sure everything was done correctly. He was easy to get along with and readily available. He didn't always agree, but provided his explanations through experience . I'm 100% happy with my new home. My new room and bathroom is very spacious and modern. I was concerned about the extensions appearance, but couldn't ask for a better outcome. It looks fantastic! I highly recommend Hurst Constructions and would have no hesitation on using them again. I can not speak highly enough of Paul and his boys. I appreciate all you've done and will miss all the excitement that comes with renos! Just a quick note to thank you and the team at Hurst Constructions for the outstanding work you have done on our recent extension and renovation. 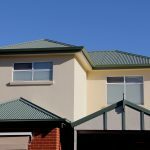 Being new to Adelaide and the Blackwood area my wife and I were not really sure where to start when it came to selecting a building company to extend our family home. Luckily we came across you and the team early on in the process. From the first meeting, where you took time to get to know us and our needs we have been extremely happy with your work, friendship and support. We have also been lucky enough to work closely with Todd and Steve who have both made fantastic contributions to the project. 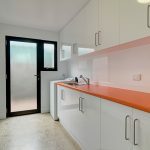 We would not hesitate to work with anyone at Hurst again in the future and will call on you again when it is time to renovate the next stage of our home. All the best for the future and please keep in touch. Paul’s team have done a great job. The finish is excellent and where other builders would have said ‘near enough is good enough’ Paul has always gone the extra mile to make sure everything is done right, even where it meant re-work at his cost (without us asking). The fixed price contract has been great, there have been no surprises even though we have made small changes along the way. Paul’s relationship with other suppliers meant that we got service that we would not otherwise have got by ourselves. I would definitely recommend and use Hurst Constructions again. We were referred to Hurst Constructions by a tradesperson in the building industry and then we saw his ad in the Adelaide Hills Magazine. We met Paul and knew it was going to be a good fit – his thorough approach and the discussions we had with him gave us the confidence to go ahead with our renovations. Paul’s timeframe for completion of the renovation was accurate and his employees were great—at no time were we concerned about having them in the house. Paul’s eye for detail and management of trades and time ensured a great finish. We wouldn’t hesitate to engage Hurst Constructions to undertake the next stage of our renovations. Paul was very determined to get the job of renovating our house. In the end, this determination was such a huge strength because he was determined to give us the best price in every situation, he was determined to get the job done in the timeframe given, and he was determined to maintain absolute quality work in every instance. We enjoyed working with him and appreciated any suggestions he made. Huge thanks to Paul and his team for bringing our challenging plans to life. Hi Paul I just wanted to let you know, now we’re at the end of our project, that it’s turned out far more beautiful than I could have hoped. Your alterations to our rather boring designs turned the extension from a lean-to into the most stunning feature of the house. Your tweaks and suggestions along the way have added to the quality without blowing the budget (I think we came in at 1% over on the original contract price). And I hate to admit it, but where we differed in opinion you were right. I have particularly appreciated the way in which you managed your workers – they were always courteous, thoughtful, efficient, and very tolerant (and careful) of an inquisitive three-year-old. They did not take shortcuts and as a result we have a very high-quality renovation. I’m happy to unreservedly recommend you to any prospective customers, if you wish. Thank you to the team at Hurst Constructions for the outstanding work done on our recent extension and renovation. 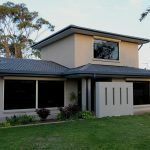 Being new to Adelaide and the Blackwood area, we were not really sure where to start when it came to selecting a building company to extend our family home. Luckily we came across the team at Hurst Constructions early on in the process. From the first meeting, where you took the time to get to know us and our requirements, we have been extremely happy with your work, friendship and support. We have also been lucky that your entire team has made fantastic contributions to the project. We would not hesitate to work with Hurst in the future and will call on you when it is time to renovate the next stage of our home. In 2014 we undertook a major renovation of our property with Hurst Constructions. From our very first contact with Paul he was personable, reasonable and flexible. In fact, it was his communication skills that prompted us to choose him above other builders we were considering at the time. As the build progressed, we were impressed with his work ethic, standards and the relationships he shared with other trades he employed or contracted for the build. Additionally, his relationship with us remained positive and constructive, even when difficult decisions had to be made by us in relation to what we wanted and what we could afford. 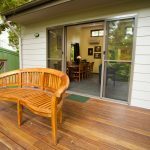 Paul was always upfront with us, and respectful, to ensure we achieved the renovation we wanted and within budget. The project was also delivered within a reasonable time frame. 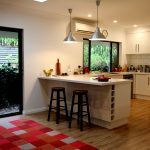 We would not hesitate in recommending Paul and Hurst Constructions, and in fact continue to do so amongst our friends and family who are looking to engage a builder. Thank you to Paul and the team at Hurst Constructions, for the hard work you put in to our renovation. We absolutely love our home, especially the kitchen. It is like living in a new house. The light is just incredible and we are enjoying the new environment it provides. Everyone who comes here is very impressed and we have had no hesitation in recommending you to many of our friends. So thanks again for everything. Whether you need a small renovation or a large extension, the hardest thing is knowing where to start. 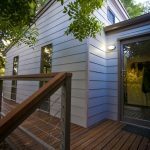 Hurst Construction has earned a reputation throughout the Adelaide Hills and beyond for its high quality work completed on time and to budget. Hurst can help you from start to finish, with the family owned company by your side throughout the whole building process. Paul Hurst from Hurst Constructions will meet with you to discuss your vision, get the plans drawn up and handle the council application process. With years of construction experience you can be sure Paul and his professional team will be able to tackle even the most challenging projects.